The durian is a popular fruit across Asia and to some noses is very pungent. It’s hidden inside a large husk, thought to be ready to eat once the husk cracks. 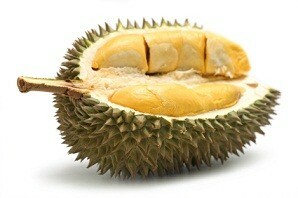 For a fruit, the durian is high in calories, approx. 147 calories per serving (100g 3.5oz). 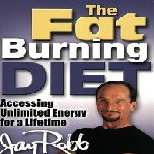 It’s also high in fat (more than 5g per 100g serving) and carbohydrates. It contains no cholesterol. If you are on a weight loss diet, you may wish to consider other fruits that have a lower fat content. The durian fruit though, is packed with vitamins and minerals. It provides more than a third of our daily recommended intake (RDI) of vitamin C which amongst other things protects us against the common cold. It is also packed with the B vitamins, especially thiamine, riboflavin, B6 and folate. 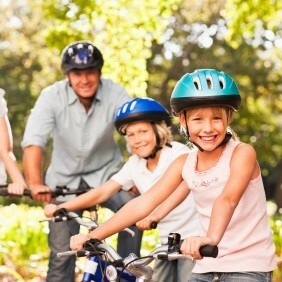 The B vitamins are great for our nervous system and give us energy. The fruit is also a good source of magnesium, which helps to modulate our blood pressure, potassium which is thought to help protect our heart and fiber which is good for digestion. If you are following a low GI diet, it is best to avoid this fruit as it is considered high in the glycemic index. 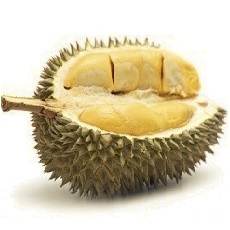 The seeds of the durian are toxic, but can be eaten if they are cooked. Compare durian nutrition facts to the other fruits.